This is a quality tool set marked "YANKEE HANDYMAN SCREWDRIVERS NO. 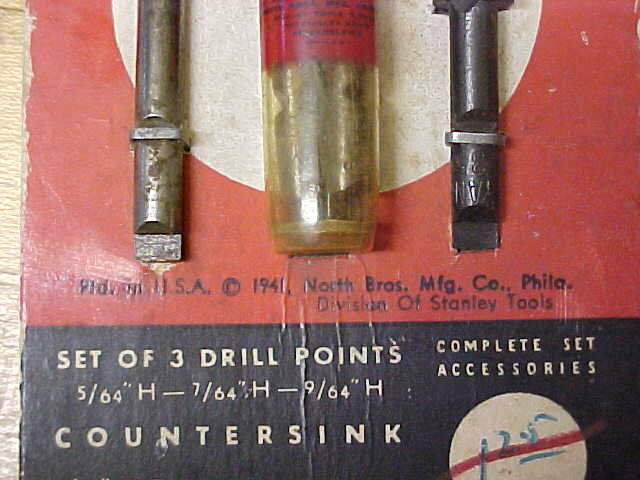 33H, 135, 35, 133H, 233H, SET OF 3 DRILL POINTS, COUNTERSINK 5/32 BIT FOR SMALL SCREWS 1941 NORTH BROTHERS MFG. CO. PHILADELPHIA DIVISION OF STANLEY TOOLS" on the red, black and white label on the card type advertising packet. The card is in good condition overall, it is very rare, and to date we have not seen any other North Brothers Div. of Stanley tools with an earlier date then 1947, which has been the official date when the North Brothers ownership was handed over to Stanley. There are 3 new drill bits in the plastic tube that has a metal cap, and all the mentioned items above are in the set as pictured, to fit the smallest Yankee brand chucks, including the ones mentioned on the card and above. This set will also fit the No. 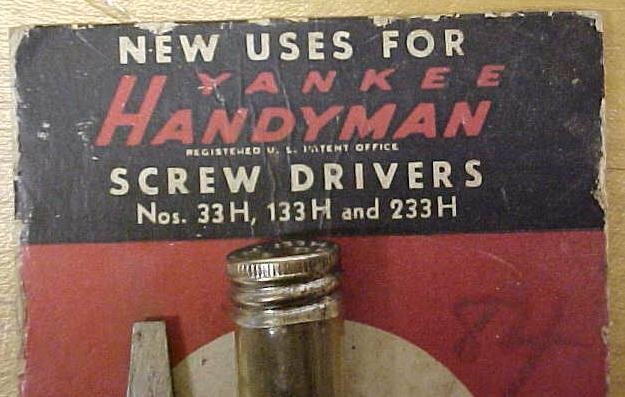 135, and several other Craftsman, Millers Falls, and Greenlee models that used the YANKEE brand tooling. All of the shanks in this set measure .218" (7/32") diameter, the smallest size shank Yankee offered of the three different sizes. 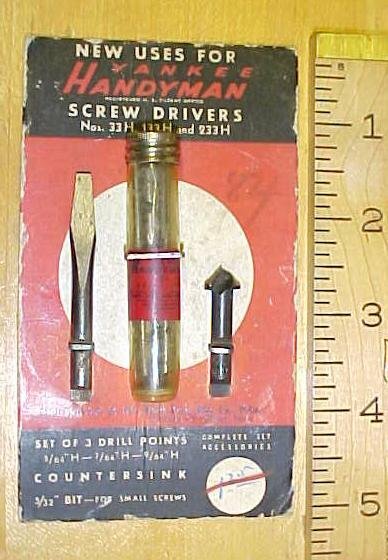 This is a very rare Handyman advertising card with tools, and it in very good condition overall! The first one of it's type we have seen in over 10 years! Items Similar To "North Bros. YANKEE Tool Set for No. 33H, 233H Screwdriver, Drill,..."